Most successful gardens are ones that are planned for and researched in advance . Each year, typically in March I dig out my seed bin & start sorting. 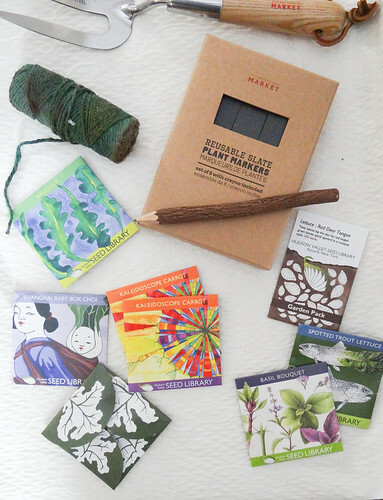 I am a total seed hoarder- it can be a problem, this year I have resisted the urge to purchase any new seeds and use the ones I have on hand. After I have sorted my seeds I start my garden plan - I look back at last years layout, garden notes and think back to what was successful and what didn't do so well. Do I really want to fight off the squash vine borers for a 4th year in a row or do I want to grown something different in place of summer squash and zucchini? Did 8 cavern tomato plants make sense last year or should I try fewer plants in multiple varieties? I also take in consideration what and where I grew items in the garden last year- crop rotation and companion planting are a big part of my garden plan and something you should consider too especially if you plan on growing your own garden for more than one consecutive year. 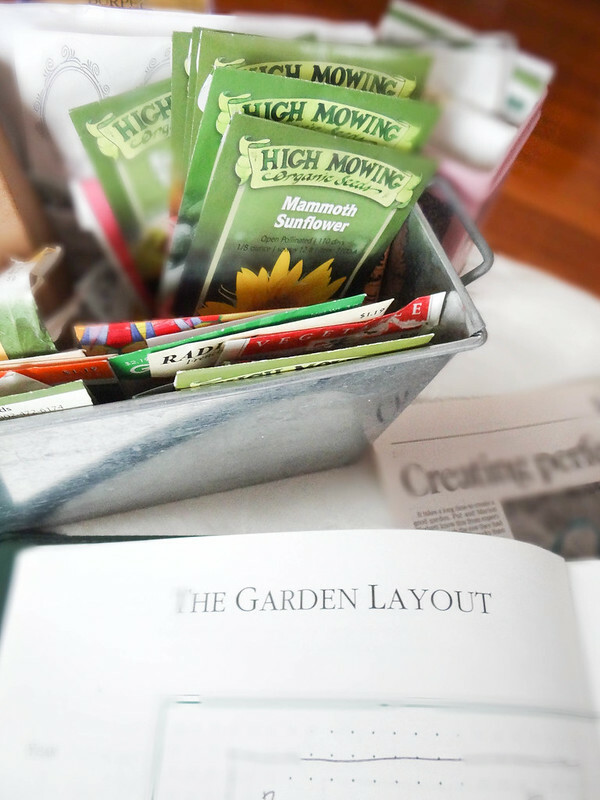 Once I have anwsered those questions I sort and pick out the seeds I plan to grow and begin the actual garden layout. You can simply use graph paper, a digital layout or garden layout software. 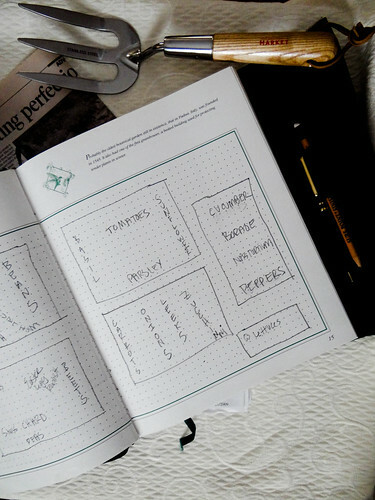 I prefer graph paper and a pencil and chart my layouts in a garden journal along with various notes I take throughout the year documenting my gardens progress. Every year I make a point to try out a new variety, last year it was Ragged Jack Kale ; amazing! This year I will be trying my hand at Baby Bok Choi, Cauliflower & Broccoli. 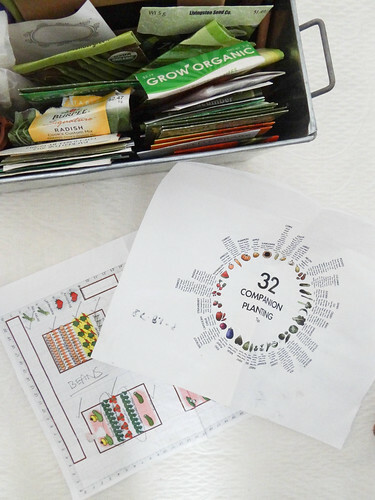 Once you have your seeds picked out and your garden map completed you can begin noting your veggies on the garden map- there are several companion planting guides online, I would suggest having one handy prior to starting. Some vegetables love being near one another and actually help each other grow, others want nothing to do with the other one which can hurt the growth of both veggies. Another thing to consider is inter planting flowers with your veggies - some flowers have the ability to repel bad bugs and attract good ones; marigold help repel cucumber beetles and squash bugs as do nasturtiums, plus they are really beautiful in the Garden. Sunflowers & Borage are also known to help tomatoes and the bees can't get enough of Borage! 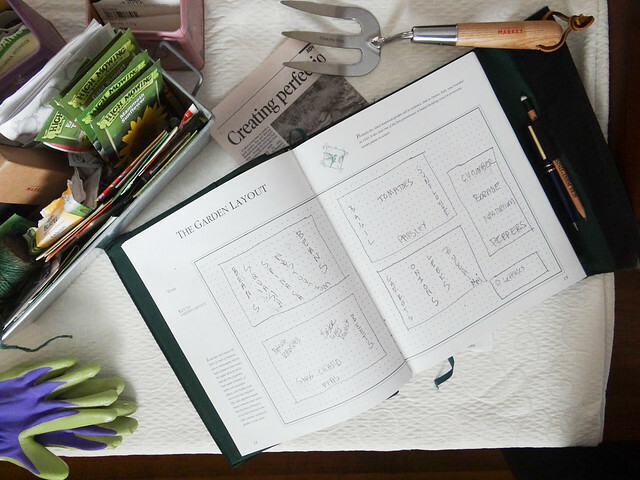 So you have your seeds picked out, the garden layout completed and assigned your veggies their new home on paper. The next step is to start your seedlings- on the back of your seed packets you will find super helpful information on when to start your seeds and whether they do best directly sown into the soil/garden or started indoors prior to the last frost. I tend to start everything inside and will also do successive plantings throughout the season to ensure a harvest in the Fall. Once they have outgrown the grow room they will be moved outdoors to a green house, then slowly hardened off and transplanted by the first week of June. 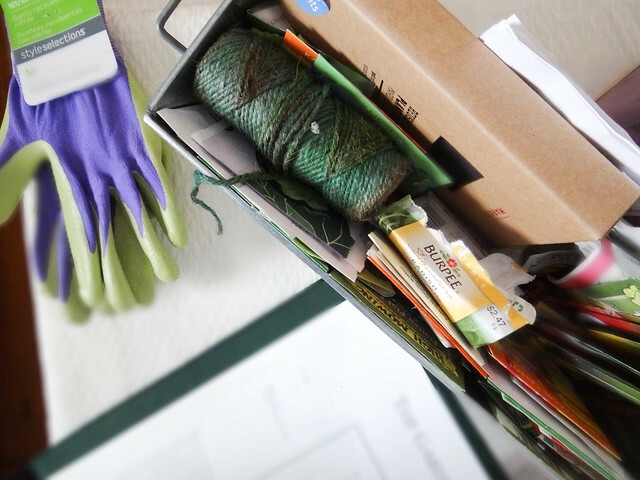 Before you plant in the garden I recommend performing a simple soil test, kits can be purchased at a local garden shop or online- this will provide you with valuable information as it pertains to your soil. You may need to add certain elements to amend the soil to ensure it is in tip top shape for your veggies. Every year I always add a bag of compost and manure to my garden - when I first began my garden I also added several bags of pro mix to each garden bed to build up the soil. Tip; do not plant carrots or root veggies in freshly manured or composted soil- work these into your beds a couple weeks prior to planting. 4. Decide what you want to grow in your garden and pair them up with companion plants- don't forget to include some flowers! 5. 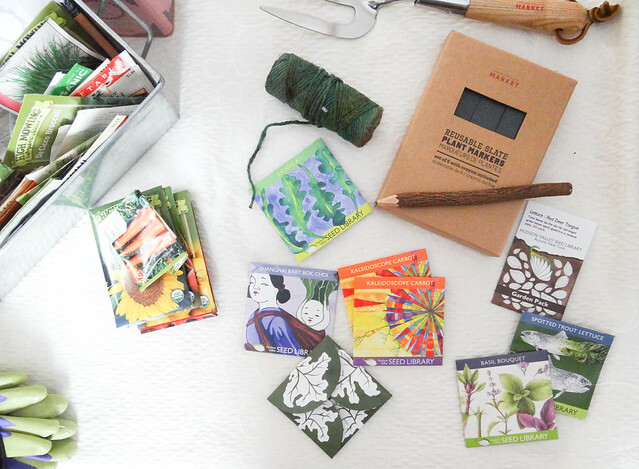 Start your seeds indoors according to the back of each seed package- you can also but already started plants from a trusted garden supply store, coop or farm stand, try to but organic! 7. Harden off your seedlings by introducing them, a little bit at a time to the outside world. Seedling can get sunburn, they are very sensitive when first taken out from the protected grow room- make sure to give them time to adjust. One of the gardeners I follow closely actually puts them in a wheelbarrow and gives them a ride around the yard the first couple days. 8. Once your seedlings are adjusted to the outside world, plan on planting them in the actual garden after the last frost date in your area. When transplanting I like to have a bucket of water next too me, after I take each plant out of its holder I completely submerge the root base/soil into the bucket, when the bubbles stop coming I know it is good and ready to be planted into the ground- don't worry you won't over water them. 9. Monitor your seedlings and make sure they are getting enough water. Look out for bad bugs (I keep a laminated double sided good bug/bad bug chart out in the garden) and any signs of sickness- never compost any sick plants. 10. Speaking of compost- start a compost pile near your garden! For some awesome gardening links and ideas check out my Garden Pinterest Board! You're getting me excited for gardening! Right now I only have a deck garden, but one day I'll have more room and start raised beds! A deck garden is still wonderful! The bubbling trick and the wheelbarrow idea are brilliant! Thanks for sharing this post...it's superhelpful and the perfect read for Earth Day! May I ask which are your favorite organic seed companies? Thank you! I realized after the fact I had this scheduled for Earth Day- perfect timing indeed! 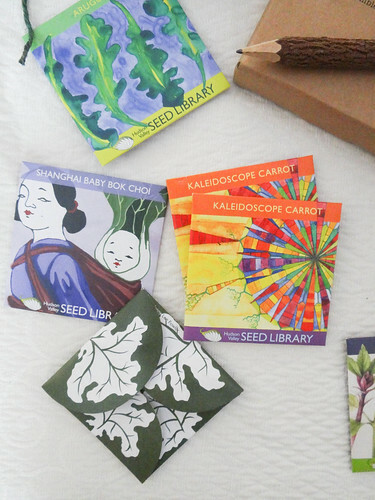 I absolutely LOVE High Mowing Seeds http://www.highmowingseeds.com/ & Hudson Seed Library https://www.seedlibrary.org/ - I also just ordered some seeds for this year from Annie's Heirloom Seeds http://www.anniesheirloomseeds.com/ she has a really nice variety too! You really can't go wrong with the little seed companies- Seed Saver & Exchange sites are also great! Love your passion for gardening!! Thank you Uru, it is a passion for sure! oh and i loving all the garden props!